“Melissa Kramer’s Cincinnati” celebrates the remarkable life and talent of Cincinnati journalist and historian Melissa Lee McNabb Kramer. Lissa, a lifelong resident of the Cincinnati area, was a 2010 graduate of the University of Cincinnati and the author of The Inclines of Cincinnati, a history of the city’s hillside rail system of the 1800s and early 1900s. Lissa in the spring of 2008. 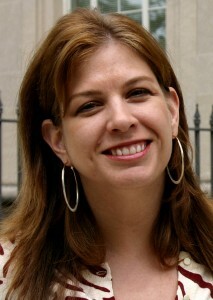 Lissa’s professional ambition was to work in the publishing industry in New York. She also had a longtime interest in advocating for the rights of nursing home patients. This came about from her experience as a patient in the late-1990s related to her lifelong battle with arthritis. Most important of all, Lissa was a loving mother and a loving daughter. Lissa was born in Covington, Ky., on June 19, 1969. She passed away on Sept. 24, 2010, at age 41, the victim of an act of domestic violence. She began her college career at UC in 1988, studying architectural engineering technology, but her studies were interrupted in 1991 by motherhood and health issues. Lissa said her classes in architectural history, drawing and construction methods deepened her love of 19th and 20th century architecture. She returned to UC about 15 years later, this time to study journalism, and had completed all requirements for her bachelor’s degree by the time of her death. She was awarded her degree posthumously in December 2010. 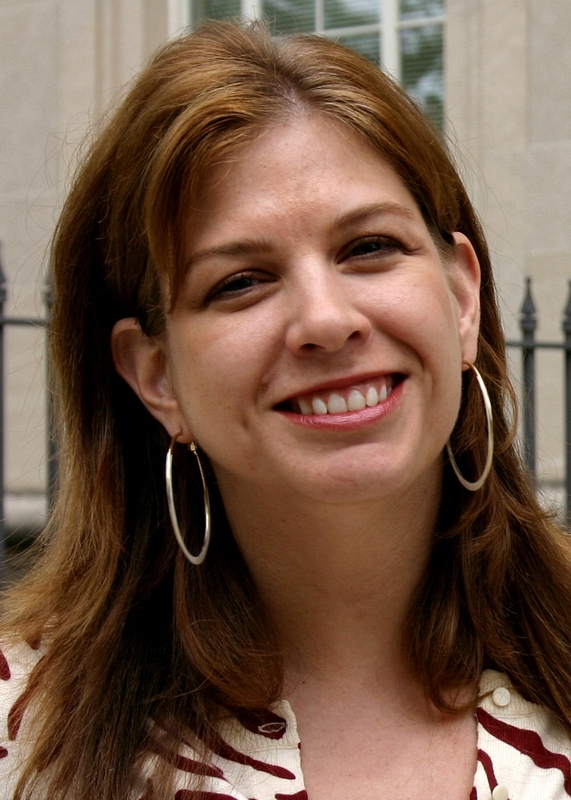 Lissa created the original “Melissa Kramer’s Cincinnati” website to promote her book, which came out in March 2009. In the winter of 2010, she expanded the site as a project for a journalism class. The site included several articles about historic landmarks in Cincinnati and Covington, such as the Cathedral Basilica, Albee Theater and Crosley Building, among others. A few months after her death, the website expired and it disappeared from the Internet. However, a close friend copied the site’s content before it disappeared and has resurrected “Melissa Kramer’s Cincinnati” as an online memorial. This new version of “Melissa Kramer’s Cincinnati” includes the original articles about local historic landmarks (see the category “Historic Landmarks”) and the original biographical sketch that Lissa wrote in early 2010 (see “About Lissa”). New content includes several unpublished journalistic articles that Lissa wrote for her classes. Hard copies of these articles were discovered in her research files several months after her death. “Men of Steel” is a fascinating, colorful account of life on the inclines. Lissa’s notes indicate that she wanted to do further research about this subject, expand the article to 6,000 words and publish it in a major magazine. Another article published here discusses plans to revitalize the park areas where the inclines were once located, and a third story reflects on the days when streetcars served the city (see these articles in the category “Inclines and Streetcars”). Lissa’s article on Clifton Magazine, a former UC student publication that began in the turbulent 1970s, also is posted here. The article, which arose from an internship in 2008 in which Lissa researched and indexed Clifton content, was first published on the UC website (see the Clifton article and others in the category “Local Interest”). Other new content includes an audio file of her July 2009 interview with Cincinnati public radio station WVXU about The Inclines of Cincinnati, an article from a University of Cincinnati publication about her book and a Cincinnati Enquirer story published shortly after her death (see the category “Media and Lissa”). This site also includes the introduction from The Inclines of Cincinnati (see the category “Lissa’s Book”). The articles in Lissa’s original website did not have accompanying photographs, and she did not take the photos that appear in this site. The photos, all of which are original except for the historical images of the Mount Adams Incline, Bellevue House and Albee Theater, were taken by a close friend to accent Lissa’s articles. The photos of Lissa were taken in 2008 and 2009 by Kim Burdett and Melissa Norris of UC for articles in UC publications. Thank you for visiting “Melissa Kramer’s Cincinnati” and celebrating Lissa’s life. As you read her articles and listen to her voice, you will appreciate her talent and passion. On campus, Lissa sometimes projected the image of a soft-spoken, shy young woman. In reality, she was tenacious, strong and courageous. Those qualities helped her overcome many difficult medical and personal challenges throughout her life. Lissa’s life was a triumph of the human spirit, and a powerful lesson can be learned from the dignified and courageous way she lived. Perhaps the best way to remember Lissa and to honor her brilliant legacy is to allow her remarkable life to inspire all of us to follow our hearts, to never give up and – just as she did in the final chapter of her life – to walk on a dream.